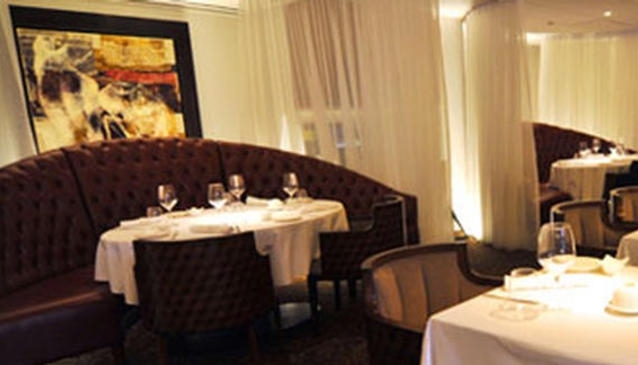 Located besides Goodwood Park Hotel, Gaia Ristorante features a bar, an alfresco area and some stylish dining rooms. With its green wall accents, huge garden urns, the Gaia inner courtyard garden calms and unwinds while the main dining area possesses a cosy, select and quiet feel. For a more secluded area, the private dining room is a glass-enclosed wine cellar for small gatherings. At Gaia Ristorante, appreciate the warmth and elegance of the place while the knowledgeable staff makes you feel at ease and special. Chef Emanuele Faggi from Sardinia offers a contemporary approach to classic dishes from across Italy, where the produce is authentic, fresh and healthy paired with an excellent culinary experience. The whole paired with some exquisite Italian wines that you'll appreciate even more with the main feature of the menu: a whole section with dishes prepared with a mozzarella from the Battipagila Village, Italy' Il Formaggio Fresco Italiano. Enjoy a stroll along Orchard Road after the dinner.